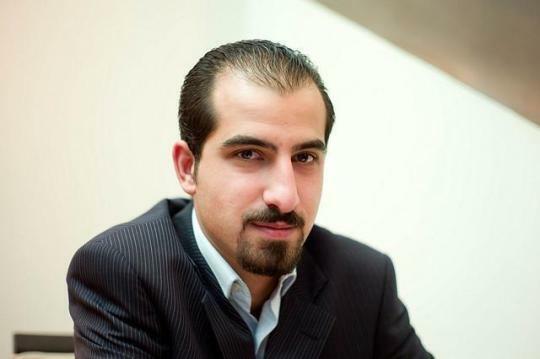 Syria’s authorities should immediately reveal the whereabouts of Bassel Khartabil, a software developer and defender of freedom of expression. Syrian authorities transferred Khartabil, who has been detained since 2012, from `Adra central prison to an undisclosed location on October 3, 2015. The signatories repeated their call for the immediate release of Khartabil who is facing field court proceedings for his peaceful activities in support of freedom of information. International law defines a disappearance action by state authorities to deprive a person of their liberty and then refuse to provide information regarding the person’s fate or whereabouts. Syrian Military Intelligence detained Khartabil on March 15, 2012 and he has remained in detention since. He was initially held incommunicado in the Military Intelligence Detention facility in Kafr Souseh for eight months and later in the military jail in Sednaya, where prison personnel tortured him for three weeks, he later told his family. Officials provided Khartabil’s family with no information about where or why he was in custody until December 24, 2012, when authorities moved him to `Adra central prison, where Khartabil was eventually allowed visits from his family. A Syrian of Palestinian parents, Khartabil is a 34-year old computer engineer who worked to build a career in software and web development. Before his arrest, he used his technical expertise to help advance freedom of speech and access to information via the Internet. Among other projects, he founded Creative Commons Syria, a nonprofit organization that enables people to share artistic and other work using free legal tools. Military Field courts in Syria are exceptional courts that have secret closed-door proceedings and do not allow for the right to defense. According to accounts of released detainees who appeared before them, the proceedings of these courts were perfunctory, lasting minutes, and in absolute disregard of international standards of minimum fairness. During a field court proceeding on December 9, 2012, a military judge interrogated Khartabil, for a few minutes but he had heard nothing about his legal case since then.